The Patchwork Real Women/Real Lives Bible Study returns on Saturday morning, September 9, 2017. If you are reading this post in safety, you can consider yourself blessed. Compared to other areas of the coast, Palacios received a relatively small amount of damage. Please consider taking a break from your Harvey cleanup and join other women from across our community for two hours of fellowship and the study of God’s promises. The study is a timely opportunity to learn more about the character of God and to show your gratitude for His blessings. You will leave with your soul nourished and wanting more. All women who are on journeys of faith or those who want to know more about conquering fears, anxiety and stress are invited. 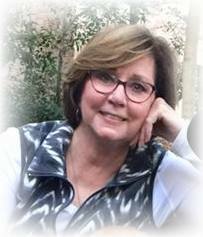 Debby Webb, will teach the nondenominational study one Saturday morning each month, beginning September 9, 2017. Before Debby and her husband, Bruce Webb, moved to Palacios, Debby taught a Community Bible study in Nacogdoches, TX for over 15 years. The Patchwork community is very pleased to have this opportunity available for Palacios women. Admission is free and all materials are provided. Childcare is not available.